If your garage needs new doors, just turn to 31-W Insulation, the installation team that will be dedicated to outfitting your Concord, North Carolina, home with products that not only enhance curb appeal but also outperform others in terms of functionality, durability, and safety. At 31-W Insulation, we have been installing top-rate garage door systems and other home improvement products since 1972, making us one of the most experienced installation companies in the southeastern United States. And, since we never use subcontractors, you can be sure that your new garage doors will be installed by a team of our own highly trained employees, all of whom perform to our high standards of efficient and precise workmanship. 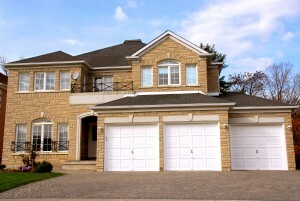 We also have garage doors that are made with thoroughly insulated panels for improved energy efficiency. Because the doorway to your garage covers such a large area of your home, it can allow heat to easily transfer in and out, so an insulated door has the potential to significantly help keep your heating and cooling expenses low and help keep your garage at a consistently comfortable temperature. To find out more information about the garage doors that we offer and install for homeowners throughout Concord, North Carolina, contact 31-W Insulation today.